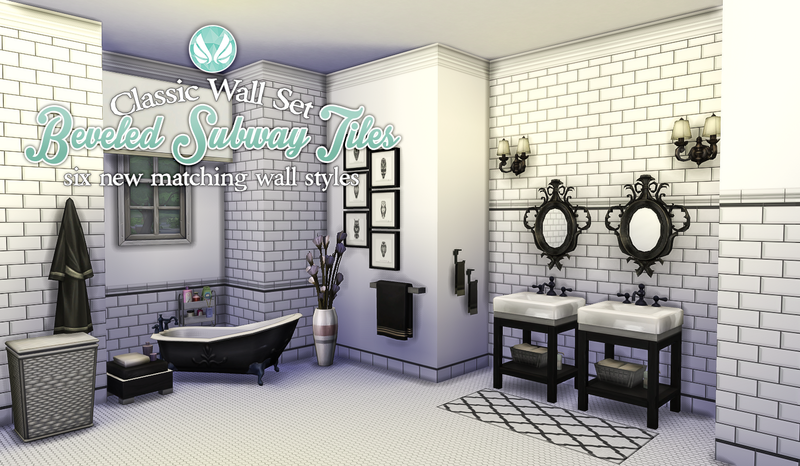 I have some new walls for you all! 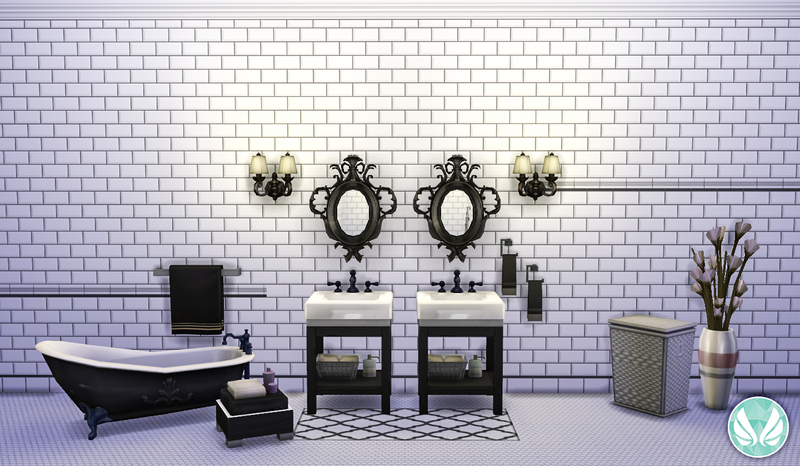 It has been a while, but these are some new additions to my classic wall set. 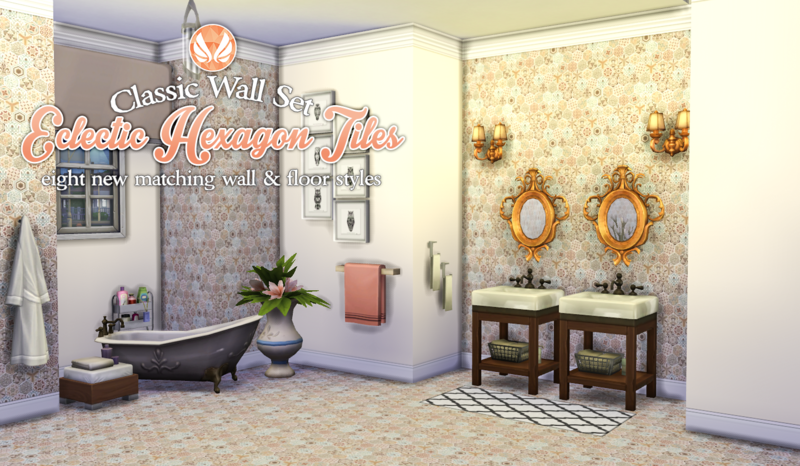 They are some lovely beveled tile designs, so you can now use these walls in your wet areas of your homes! 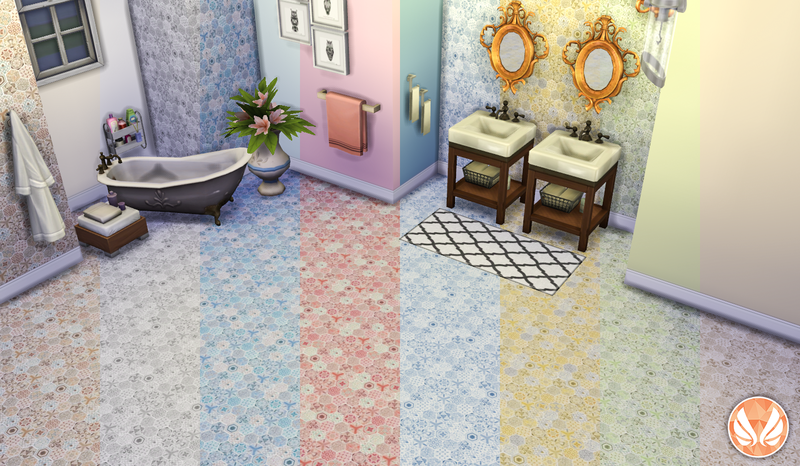 Due to the lack of CAS, the tiles are only available in white (do not ask for other tile colours, I will not be making colour variations due to the number of current paint variations and how many image files would be needed just to have more tile colours. 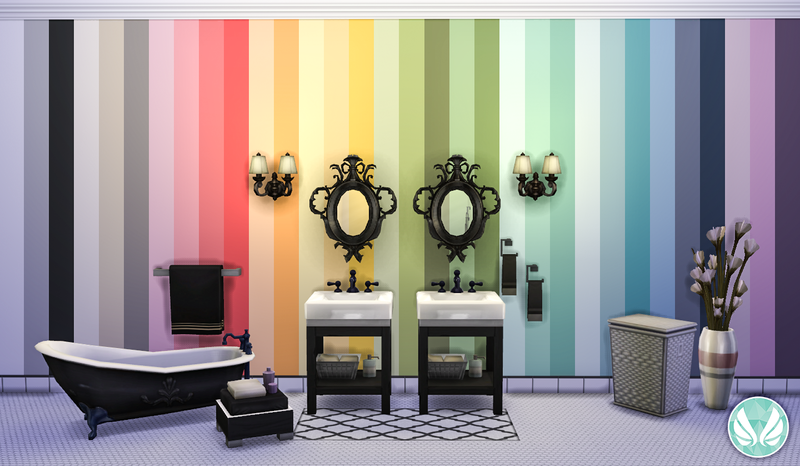 If you make walls, you will understand my decision). These will mostly match up with my classic wall set (some colours are not perfect due to the way I needed to make the walls and fix imperfections), but are very close. 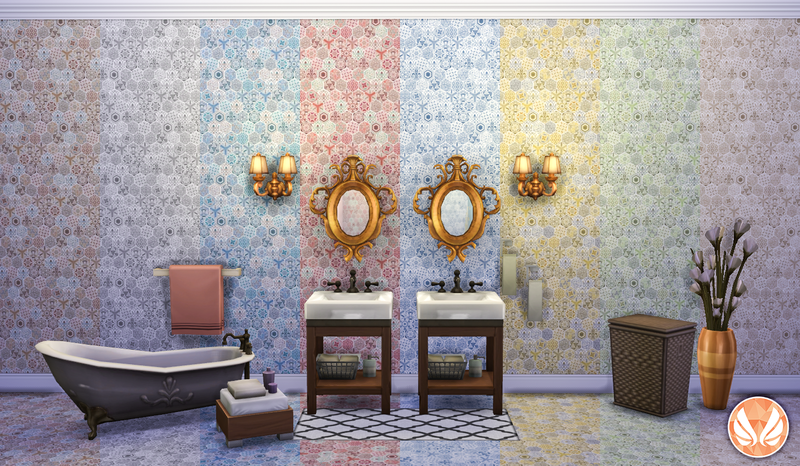 If the 2 wall sets meet at a corner, then the difference will not be noticeable. 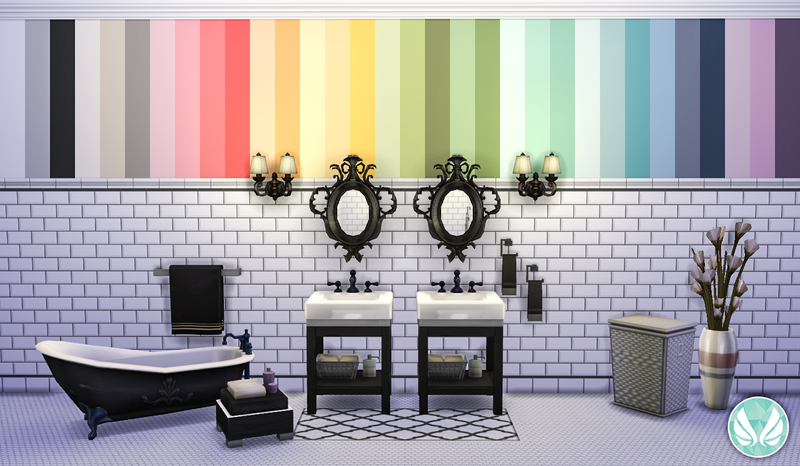 I also only did 23 of the 60 colours from my classic wall set. Again, this was done to make the project manageable. I may do the remaining colours in time, but right now, you get only 32 of them. Anyway, here you go. 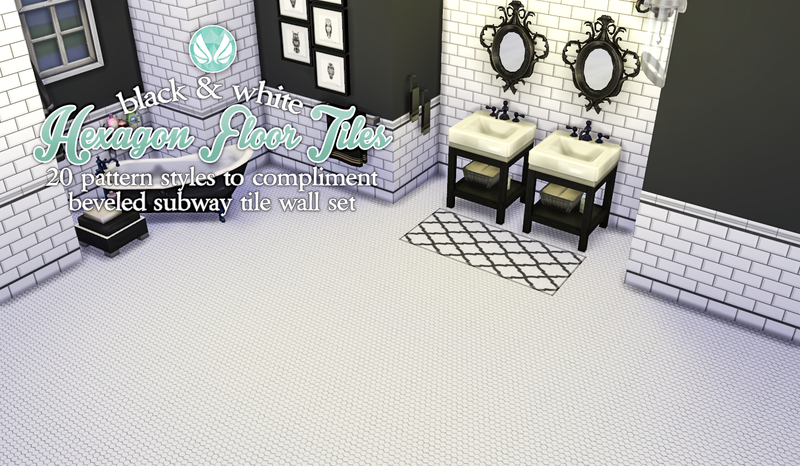 Now go fourth and add some classic subway tiles to your homes! 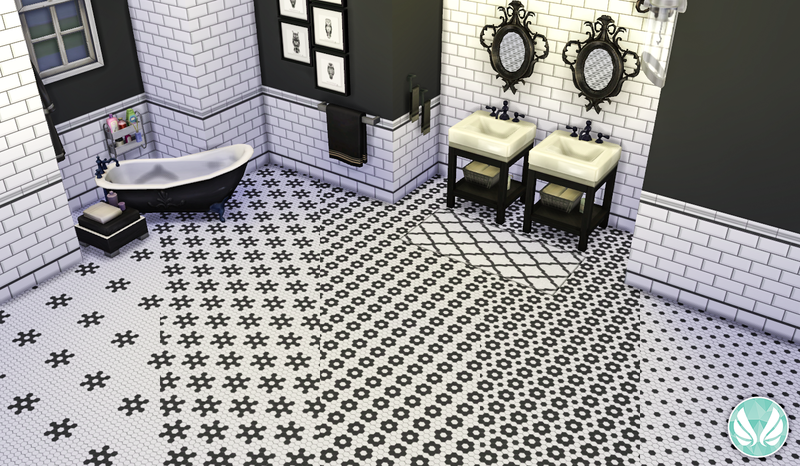 I have been sitting on these walls and matching flooring for a while now, and thought it was about time to share them with you all. They are an acquired taste, and not for everyone. They are however quite unique, and I guess that is why I love them. 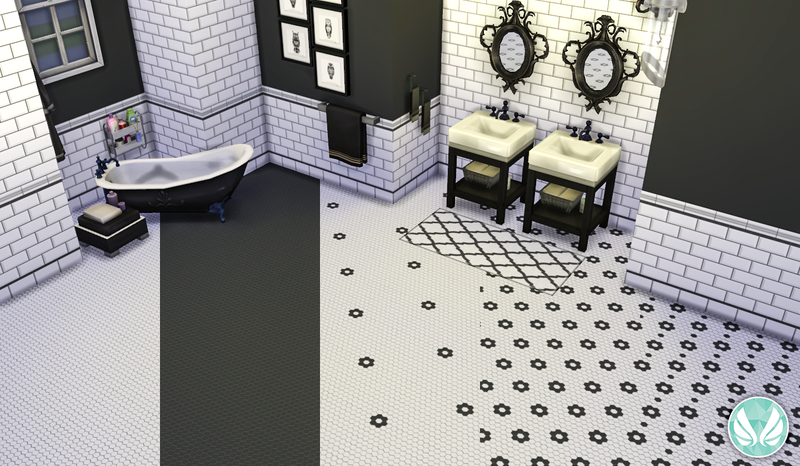 They are designed to be paired up with my Classic Wall Set, but work well as standalone items too.